The Australian graphic design platform Canva is a very popular tool used by people in various works of life especially bloggers to design highly professional graphics for various purposes. 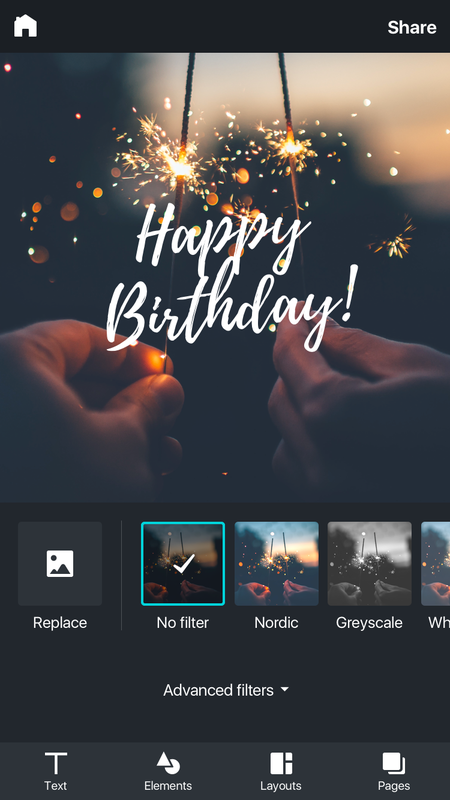 The Canva app has been made available on iPad for over 2 years now while other major mobile devices like Android and iPhone were yet to get the app until this week when the iPhone version was launched. From the Canva App you can choose templates from various categories, customize as you wish to get your desired result. Some of the type of graphics you can design on Canva includes Facebook cover pictures, fancy graphics for your social media campaigns and so on. "We think the experience on the iPhone is more compelling than on the iPad," He also added that "It's a way more useful thing to be able to use it on the go and create those designs wherever you are." Considering the time the iPad version was released, one would have expected the, iPhone version to come out in a matter of months but all the same it's worth the wait. While the company has had an iPad app since 2014, moving the platform onto the iPhone took around one year's worth of work, Cam Adams, Canva's chief product officer, told Mashable Australia. In particular, Adams said the team wanted to ensure the iPhone experience was speedy. "We focused on creating a design really quickly and making it unique and post-able to social," he added. "I know that Android is the lion's share of the market globally, so it's something we are very keen to get out." "We focused on iPhone because that's what a lot of our users were on," he said.